Kokikai Aikido was founded by Sensei Shuji Maruyama, an “uchideshi” (student who lived in the dojo) of the creator of Aikido, Morehei Ueshiba. Sensei Maruyama was one of the first Aikido instructors sent from Japan to America, arriving in 1966. There are now over fifty Kokikai dojos throughout the world. Gary Snyder Sensei has been training under Sensei Maruyama since 1981. Yoga as a spiritual practice dates back thousands of years to the times of ancient India. Ancient yogis worked with their minds by utilizing postures breath work and meditation. The yoga we practice today is a much more recent development. Modern day yoga draws on these ancient practices but also integrates scientific knowledge of the human body and movement techniques drawing from martial arts, gymnastics and dance. We are proud to offer a variety of class styles drawing from different traditions. Classes range from restorative to vigorous so check our class descriptions to find the class that’s right for you. AcroYoga is a form of partner yoga that blends the practices of yoga, thai massage, and partner acrobatics. These three lineages form the foundation of a unique practice that cultivates trust, connection, and playfulness. Built upon the framework of cultivating skillful partnership, AcroYoga provides a vehicle to explore positive and supportive relationships with an emphasis on honest, clear and compassionate communication. In each class we will explore the roles of the base, flyer and spotter. Come with or without a patner! Tai Chi Ch’uan is a centuries old Chinese “internal” martial art. Millions of people around the world practice it daily for its many health benefits. 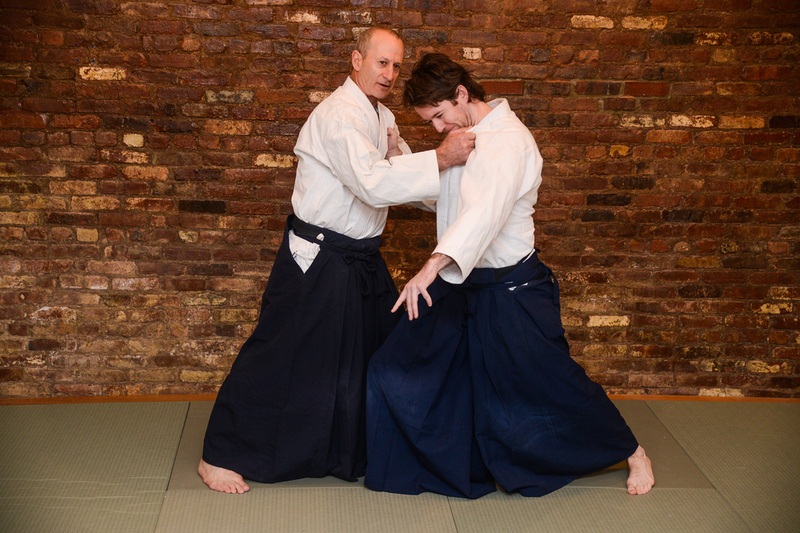 As a martial art, its strategy is to overcome an opponent’s speed and strength with stillness and softness using a relaxed and connected body. The Tai Chi taught at Warrior Bridge is Grandmaster William C.C.Chen’s 60 movement form. Master Chen has devoted his life to the study of body mechanics and the use of Tai Chi for self-defense and health. He has been a teacher since 1952. In 1965, he established William C. C. Chen Tai Chi Chuan in New York City’s Chelsea area. Students with over twenty years of experience with Master Chen will be teaching at Warrior Bridge. Meditation at Warrior Bridge draws from the Shambhala tradition based in Tibetan Buddhist philosophy and psychology with a completely contemporary body of practices in order to bring the deep benefits of meditation into everyday life. Grounded in mindfulness-awareness meditation, these practices include a wide array of meditation techniques, along with other transformative tools and teachings for waking up and being more present and compassionate in our life. These teachings, available to anyone of any background or spiritual tradition, enable us to befriend our own minds and hearts, skillfully work with fear, build confidence, and ultimately provide a practical means to engaging our life – our relationships, work, play, family and friends – wholeheartedly. Brazilian Jiu Jitsu is a self defense system that focuses on grappling and especially ground fighting. Jiu Jitsu promotes the concept that a smaller, weaker person can successfully defend against a bigger, stronger assailant by using proper technique, leverage, and most notably, taking the fight to the ground. Brazilian Jiu Jitsu has been proven effective time and time again as a practical and effective martial art for both sport and self defense scenarios.